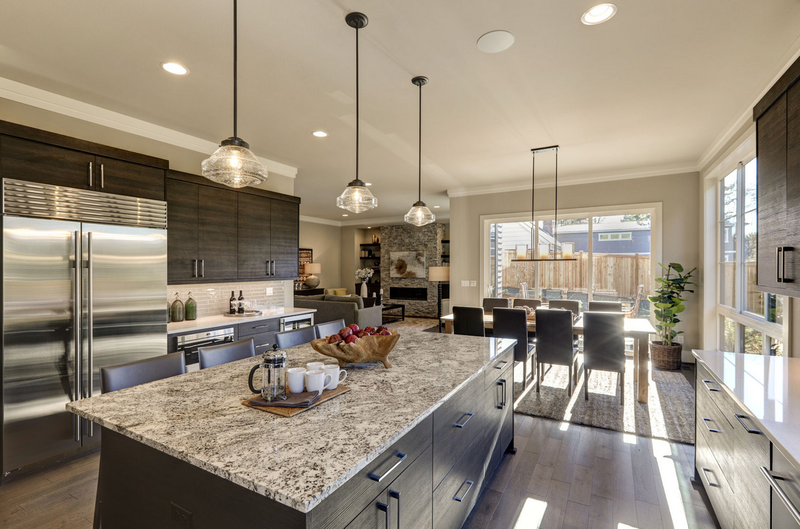 Granite countertops can give your kitchen the high-end look that you want. They can also stand up to just about anything when you’re cooking up meals. And maybe best of all, they’ll add value to your home when you have them installed. But before you have granite countertops put in, there are a few questions you should ask to your preferred installer. Take a look at those questions below. Is it possible to stain granite countertops? It’s almost impossible for a homeowner to do any real damage to granite countertops unless they actively try to do it. Granite is just about the strongest countertop material you’ll find. But the one thing you will have to look out for is staining. Granite is porous, which means certain liquids and oils can seep down into it and cause it to stain. You can prevent this by sealing granite countertops once every year. How will I need to clean granite countertops? Sealing granite countertops will stop them from staining, but you still need to get into the habit of cleaning them. You can do it with dish soap and other cleaners that have been approved for use on natural stone countertops. Simply wipe away dirt, crumbs, and other debris to keep your kitchen countertops looking as clean as they can be. How much will granite countertops cost me? Installing granite countertops in your home will require an investment on your part. But the cost of granite has actually gone down in recent years thanks to different technological advancements. Additionally, installing granite countertops will, as we mentioned earlier, give your property value a big boost. So, they’ll be well worth it in the end! Interested in having granite countertops installed in your kitchen? MC Granite Countertops can provide you with gorgeous kitchen granite countertops that will last for many years to come. We currently have four locations in three states and can serve those in the Atlanta, GA, Charlotte, NC, and Nashville, TN areas. Contact us today to start your kitchen countertop search.